Hwang Chan-sung and Han Ji-an are starring in the partially pre-produced drama "So I Married an Anti-Fan - Drama". Based on a novel, "So I Married an Anti-Fan - Drama" is a romantic comedy about a top star named Hoo Joon (Choi Tae-joon) who re-writes K-Pop history and his anti-fan reporter Lee Geun-yeong (Choi Soo-young). Hwang Chan-sung takes on the role of JJ, a chaebol and the CEO of Supigen Entertainment. This is his first villainous role. JJ used to be a trio with Oh In-hyeong (Han Ji-an), but was jealous of Hoo Joon's fame and love so he planned to bring him down. Then he falls for Lee Lee Geun-yeong, Hoo Joon's number one anti-fan and reporter. Hwang Chan-sung has made a strong impression of himself in past dramas like "Ms. Temper and Nam Jung-gi" and "What's Wrong With Secretary Kim" and this time, he's undergoing a transformation as JJ, the villain of the drama. Han Ji-an takes on the role of Oh In-hyeong, a rising movie star. She dreams of making a big comeback in JJ's company but is torn between Hoo Joon who she loved in the past and JJ who saved her. 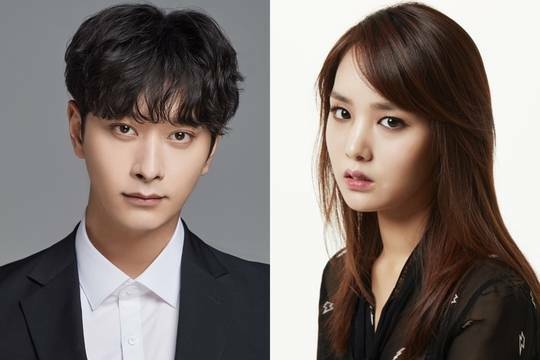 With this, "What's Wrong With Secretary Kim" has completed a main cast of Choi Tae-joon, Choi Soo-young, Hwang Chan-sung, and Han Ji-an. ""So I Married an Anti-Fan - Drama" to cast Hwang Chan-sung and Han Ji-an"